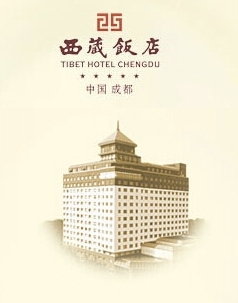 The Theme hotel of Tibet Culture, it locates in the downtown of Chengdu, which is exactly the window of snowy plateau. May you be happy and healthy at the blessing of auspicious canon!Just a 15-minute walk from Chengdu North Train Station, Chengdu Tibet Hotel features a Tibetan theme with a hint of modern art decor. The luxurious 5-star property offers 4 dining options, a fitness centre and a spa. Free parking on site and rooms with free wired internet are provided.Guest rooms are fitted with a personal safe, tea/coffee making facilities and a flat-screen TV with cable channels. The en suite bathroom comes with free toiletries and a bathtub.The hotel has a shop on site selling a variety of Tibetan products. Laundry and dry cleaning services are offered.Red Palace Restaurant and Mingzhu Restaurant both serve a range of Chinese dishes. Guests can enjoy a selection of drinks at the lobby bar.Tibet Hotel Chengdu is a 2-minute walk from North Renmin Road Station Line 1, a 5-minute walk from Wanda Plaza and a 15-minute walk from Wenshu Yuan Monastery. It is a 15-minute drive from Chunxi Road, Kuan Zhai Alley or Jinli Ancient Street. Chengdu Research Base of Giant Panda Breeding is a 25-minute drive away. Chengdu Shuangliu Airport is a 40-minute drive away.